Drive around a typical neighborhood today and within a few miles shoppers can find a mid- to large-sized grocery store accompanied by a few other small shops like a hair salon, pizza place, or hardware store. This is because time is proving that grocers are necessary for consumers, and beneficial as shopping center anchors to investors, consumers, and neighboring retailers. People will always need food. Regardless of stock market highs and lows, political maneuvering, or global interruptions, people will continue shopping for food even if it means forgoing a new car purchase or beach vacation. With this kind of guaranteed demand, grocery stores are a solid anchor in good and bad times, attests Matt Sonntag, assistant vice president and asset manager with Bloomington, Minn.-based United Properties. Food is a “sensitive” subject. Even in the age of ecommerce and mobile shopping, most consumers still prefer to buy groceries at physical stores, engaging their sense of touch, smell, and taste.. Furthermore, with the growing trend in consumer demand for local, fresh food, physical grocery stores are more likely to continue to draw shoppers to grocery-anchored shopping centers. Grocery stores are resilient to ecommerce retail trends. Bain & Company reported in 2015 that groceries fall under the lowest internet penetration rate of any retail category. Fox Business agrees that grocers are more resistant than traditional retailers to online competition. Rather than losing out to online shoppers, grocers like Kroger and Whole Foods Market are blending their physical stores with an online presence with much success. For instance, Whole Foods uses YouTube to offer recipes using fresh ingredients that consumers are encouraged to purchase in-store. Grocery stores offer convenience and accessibility to communities. Typically, grocery-anchored centers, often referred to as neighborhood centers, draw customers largely in the daytime from a 3-5 mile radius. As Specialty Realty reports, the average shopper visits their local grocery store once or twice a week. This can translate into a high volume of traffic that frequents the anchor grocer and the nail salons, dry cleaners, and other day-to-day services. What’s good for the shopper is good for the investor. The same convenience and accessibility that attracts shoppers to grocery-anchored centers also attracts investors. CCIM reports that these centers, the “darling of the investment community,” can command low cap rates ranging from 5 to 6 percent and lower in some cases. 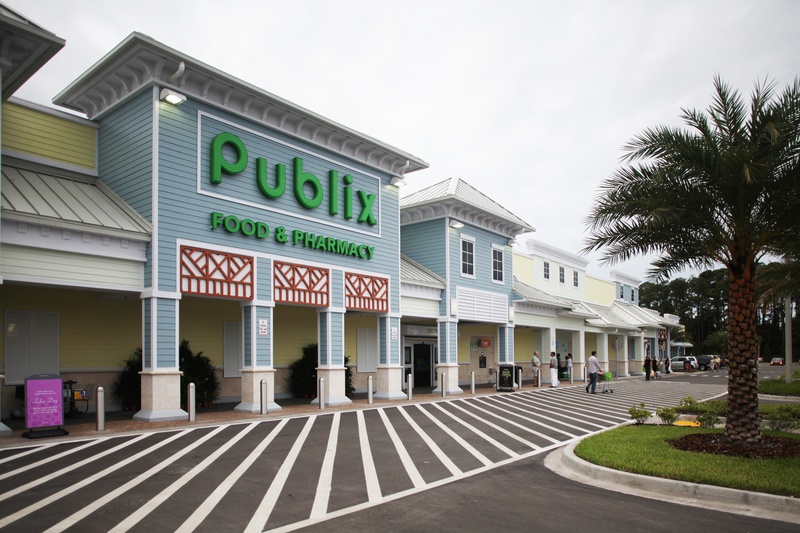 NREI Online indicates another attraction for investors like Cushman & Wakefield is the fact that grocery-anchored centers are showing higher occupancy rates than non-grocery anchored centers.